While Goa reminds us of vacation on a beach, sun bathing, relaxing, or trying water sports, it also holds a lot of historic importance. There is a series of events that took place, different forts were built, structures were established, and tales were lived. If you have a thing for history and like to explore the past of places you visit, Goa won’t let you down. 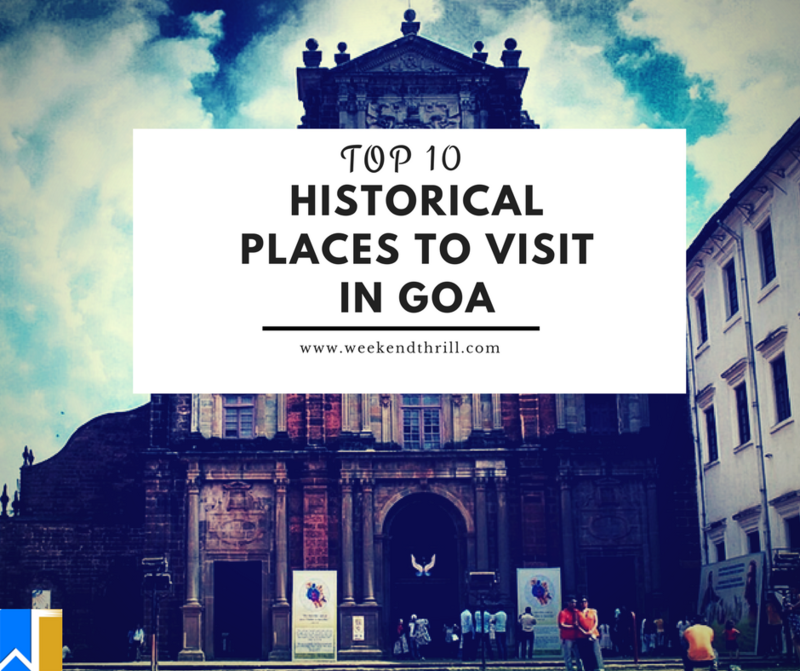 Here is a list of top historical places that you can visit in Goa. 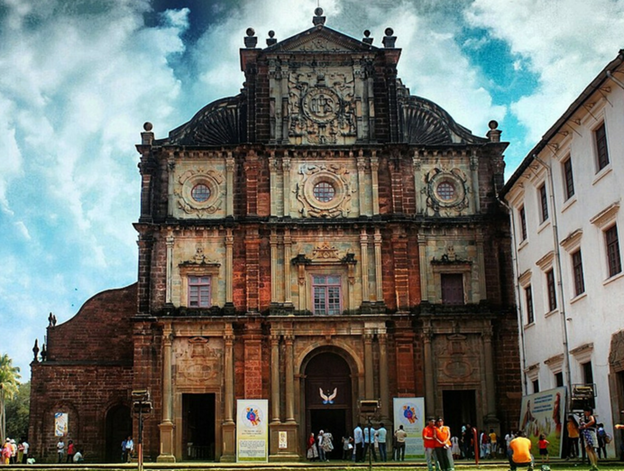 Also known as St. Francis Xavier’s tomb, this UNESCO World Heritage is located in Old Goa. It holds great place in history. The mortal remains of St. Francis Xavier are here. It is also India’s first minor basilica. It is well built and is one of the best examples of baroque architecture. It is known for its simple yet spectacular architecture. The main alter is 54 ft. high and 30 ft. broad. The interior of the tomb is designed in Mosaic-Corinthian style. There are many paintings in the museum that depict the life events of St. Xavier. According to common belief, after St. Francis died in 1552 on a sea voyage to China, his body was transferred to God and was found as fresh as it was when buried. His body is placed in a glass coffin in a silver casket. It is believed that the saint has healing powers. The coffin is allowed to be viewed by public once in 10 years. Other than this, it is also famous for the House of the Jesuits which lies next door and where the Jesuit missions to east began. 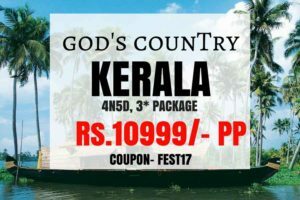 This is one of the must visit places in Goa because of the holy beliefs and engaging history attached to it. 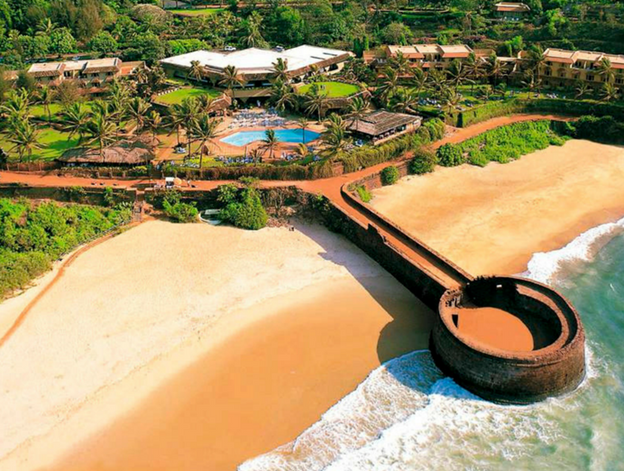 Located on Sinquerim Beach, is this Portuguese Fort constructed to guard against the Dutch and the Marathas. It’s singing tales of its glory since 1612. Agunda means water. The fort was named so because its freshwater spring provided water to the ships that stopped by. A four-storey Portuguese lighthouse stands on the fort. It was erected in 1864 and is oldest of its kind in Asia. This fort was the first ever light house in the country and is currently serving as the Central Jail. Agunda fort has served many purposes in past and is being used till date. It has great historical value and is a must visit place in Goa. 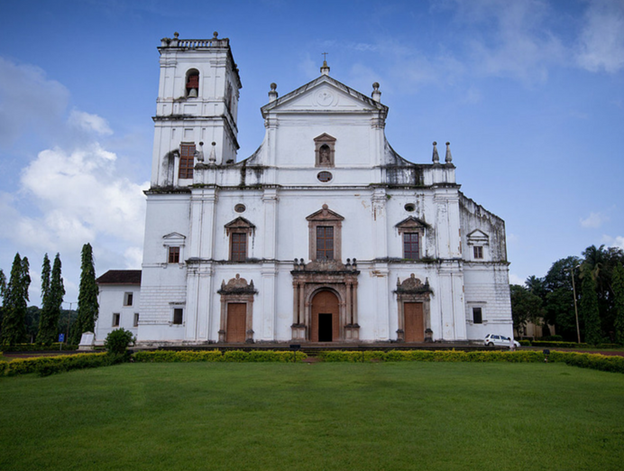 It is the cathedral of the Latin Rite Roman Catholic Archdiocese of Goa and Daman and the seat of the Patriarch of the East Indies. It is situated in Old Goa. The Se Cathedral was built to commemorate the victory of the Portuguese under Afonso de Albuquerque over a Muslim army. This further lead to capturing the city of Goa in 1510. The day of the victory happened to be on the feast of Saint Catherine and so, the cathedral was dedicated to her. The cathedral was built completely in 1619 and its use as a religious place began in 1640. The architecture is in Portuguese-Gothic style with the exterior being Tuscan and the interior being Corinthian. The major attractions of the Cathedral are the 15 altars, which are dedicated to Our Lady of Three Needs, Our Lady of Anguish or Our Lady of Hope. The grand alter is highly ornate and is dedicated to St. Catherine of Alexandria. There are carvings depicting the major events of the life of St. Catherine. The bell in the tower, known as Golden Bell is known for its melody and rich tone and is the largest bell in Goa and one of the best in the world. The adjoining convent was turned into an Archeological Museum and is open to the public. This place is often visited for the historic, architectural and religious values it holds. 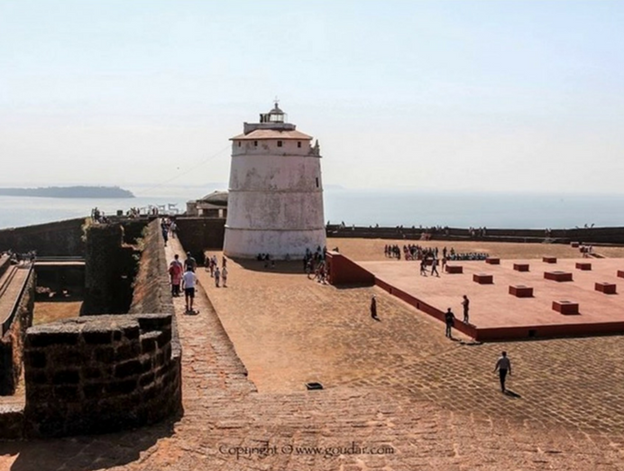 The fort is located in the city of Panaji in North Goa. 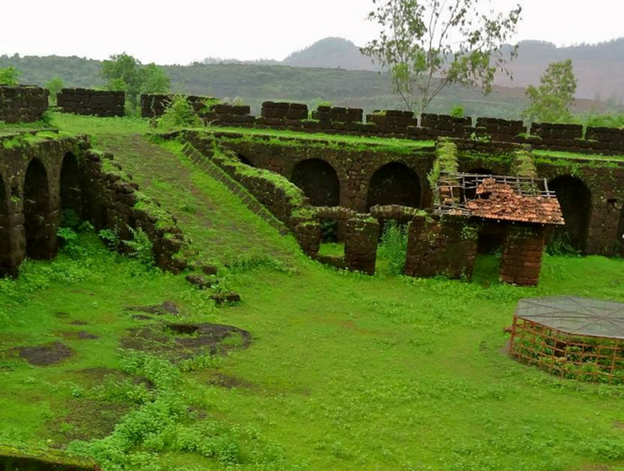 It is one of the major heritage sites in Goa state. 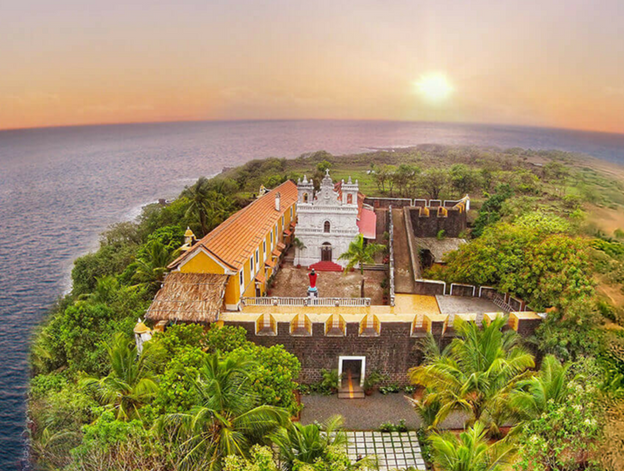 This Fort was built by the Portuguese Viceroy Alfonso de Noronha in 1551 and was rebuilt in 1707. It played an important role in the defense of Goa in 1739 against the Marathas. 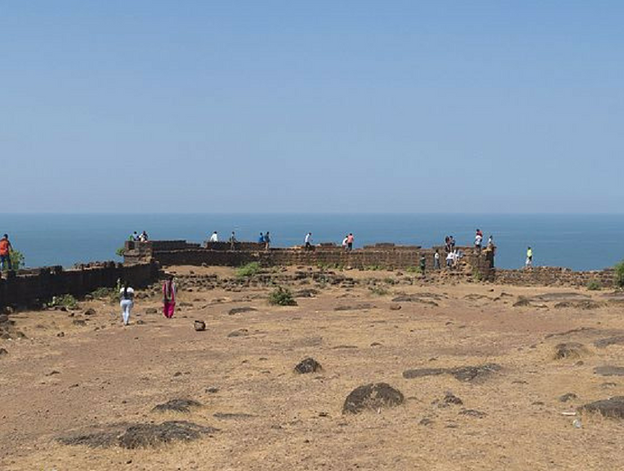 In the beginning the Portuguese used this Fort as a shelter for the viceroys and dignitaries who arrived from Lisbon but later used it to ward off Maratha armies. It was occupied between 1798-1813 by the British Army. After that it served as a prison until 1993. The Fort is currently undergoing a restoration by the archeological survey of India. It was constructed using laterite and is built on a hill that can be accessed through a ramp or a narrow staircase. 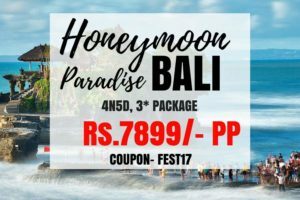 It is located in Bardez, Goa. The fort has been occupied by different rules over time and has also been used as shelter at times. It is a pleasant place to visit. It provides spectacular views of Chapora river and Arabian sea. The fort sits on position which commands views in all directions. It also has steep slopes on all sides. This provided security to the fort. Although it was built for defense reasons, it failed its cause and now we don’t find much barracks and houses which were in significant numbers earlier. The movie “Dil chahta hai” was shot here and after that people started recognizing this fort with this name. So, what are you waiting for? This is your chance to have your own “Dil chahta hai” moment and enjoy the beautiful scenes from the fort. Visits in evenings are suggested for better experience. 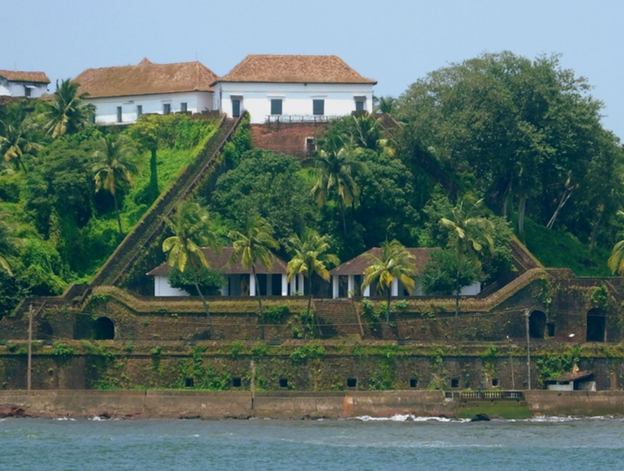 This fort, situated in Goa, has switched many hands between Hindu, Muslim and Portuguese. Many battles took place here. It also served as government prison for some time and now stands in ruins to tell its tales of glory. Because of the invasions and battles, good amount of history is associated with it. Inside the fort, there is a church of Santo Antonio which is visited my many devotees. The fort is visited by many for spiritual beauty it holds. There are many photogenic spots in the fort. The white church in black fort looks extremely attractive. The route to this fort is also scenic. There are views from all sides and one can spot many peacocks there. It is an island in Ilhas, Goa. It is famous for its fort and church. St. Estevam /St. Stephen church is located on a small hillock of this island. 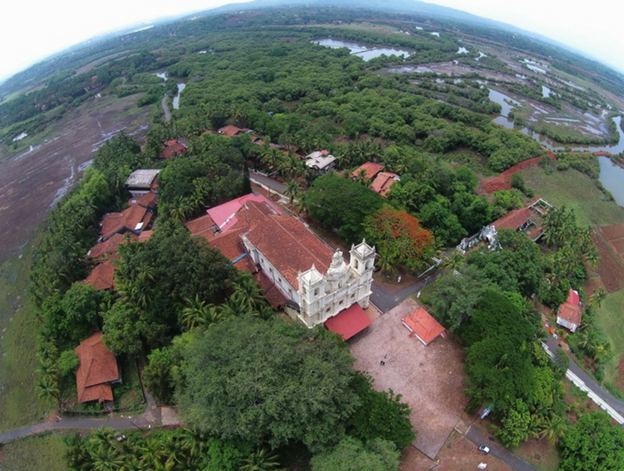 It was one of the largest churches to be built in Goa. Its exterior resembles a false dome surrounded by twin towers with lanterns. It was built in the Corinthian style. The ceilings are adorned with floral graffiti, side altars and pulpit. The Church has seven side chapels. The main altar of the church is dedicated to St. Stephen, the protomartyr. The statue of St Stephen stands below a four pillared canopy. It holds high religious values. The fort, built in 1668, is on the top of a hillock and can be reached by a flight of stairs. On the top is a shrine to Christ the king. The fort was converted to Christianity at the end of 16h century. The island is extremely beautiful and holds historic values. It is situated on the river island of Corjuem, Goa. Different rulers ruled the fort from time to time. It served as a military fortress for the defense of Portuguese.In early 1800s, it was used as military school. It is a little secluded but is worth visiting as the history associated with it is interesting and the fort is very picturesque. The architecture is also very impressive and the views from fort are breathtaking. The fort also has an interesting tale associated with it in which an ambitious Portuguese woman named Ursula e Lancastre wanted to see the man’s world and to do that she dressed like a man and travelled the world. She landed up at Corjuem as a soldier but was captured and stripped. 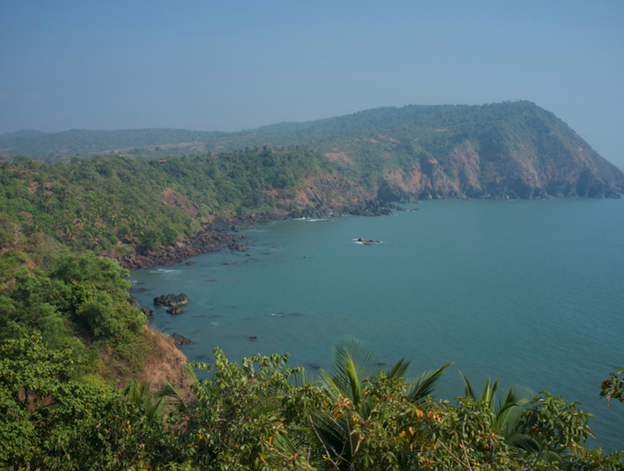 It is located on in Northern Goa on the tip of Tiracol River. It is located on a great site and a gives view of Arabian Sea. Apart from witnessing different rulers, it also severed as one on the main demonstration sites for freedom fighters in Goa. There is a church of St. Anthony inside the fort which is opened for general public on special occasions only. The fort is now converted into a heritage hotel. The place is great holiday location. It is located close to water and has picturesque surroundings. 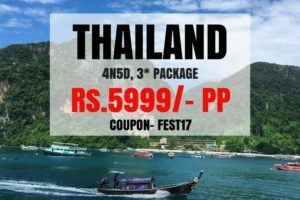 Apart from the historic tales that are associated with it, its location and natural beauty are the reasons many tourists visit this place. It is located on the beach of Candolim, at the shore of Mandovi River. It is and extension of Aguada fort. It was constructed in 1613 to guard against the Dutch and the Marathas. It served as a center for defense and shipping vessels from Europe. The architectural beauty of this place is praise worthy. This fort attracts history lovers as well as photography fanatics. It has a weighted portion in history, the architecture is outstanding and the view from the port is mesmerizing. A lot of tourists visit ths place and absolutely love it because of these features. 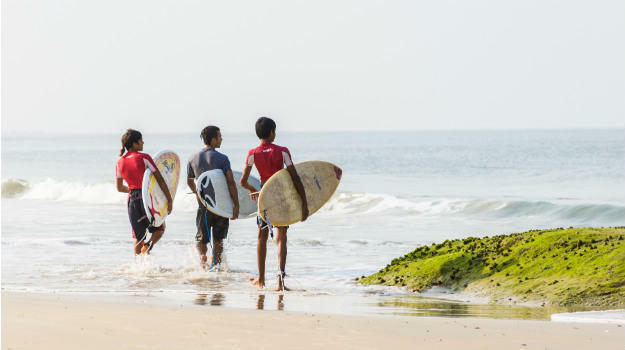 Now that you know the right places to visit, we hope it will be easier to plan your next Goa trip. Keep exploring!